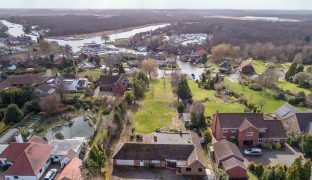 A substantial 5 bedroom chalet bungalow occupying a south facing waterside plot extending to approx 0.75 acre, offering a fantastic opportunity for comprehensive renovation or redevelopment, with quay headed frontage, mooring dock and slipway. 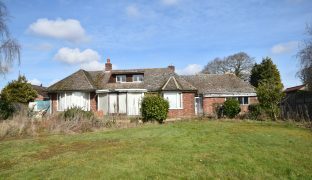 Offering a fantastic opportunity for either comprehensive renovation or full redevelopment (subject to planning), this substantial five bedroom chalet bungalow occupies a stunning south facing waterside plot that extends to approximately 0.75 acre, just off the River Bure within one of the Norfolk Broads’ most sought after villages. 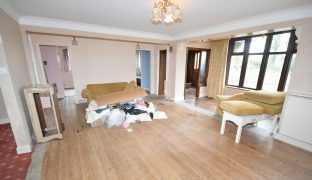 The existing property requires extensive improvement, currently offering accommodation that consists of an entrance hall, study, two large bay fronted reception rooms, kitchen, five bedrooms, one en-suite shower room, two bathrooms and a cloakroom. There is also an attached double garage. 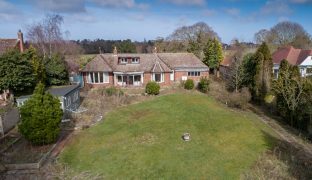 The substantial elevated plot looks out over open farmland to the front aspect while leading down to the water’s edge to the rear. 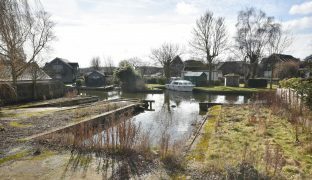 The quay headed frontage extends to approximately 80ft and currently includes a mooring dock measuring 40ft x 22ft (formerly the site of a boat shed) and a slipway. Planning permission had been obtained in January 2014 (BA/2013/0371/FUL) which allowed the existing property to be dramatically extended and re-modelled. This permission has subsequently lapsed, but could of course be re-submitted. 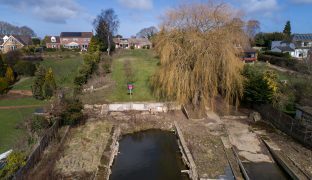 However, there is clearly scope for a completely new approach, making the most of the scale, location and potential that this site has to offer. 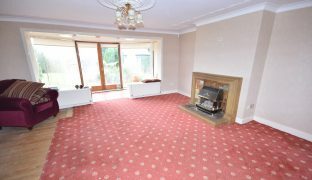 Full length bay window to rear with double doors to rear and large picture windows looking down the garden to the mooring and water beyond. Gas fire with stove surround, coved ceiling, ceiling rose, two radiators. Window to front aspect, built in larder, built in pantry, radiator. 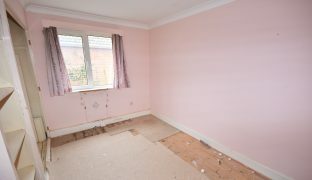 Bay window to rear, two radiators, wooden floor. 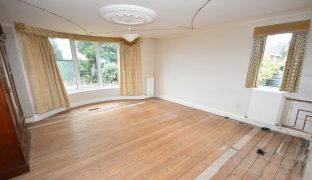 Window to rear, coved ceiling, wooden floor, radiator, en-suite shower room. Shower cubicle, w/c, vanity wash basin, radiator, window to side. Doors to front and rear. Built in boiler cupboard. Door to garage. Access to eaves storage area. Window to rear with views out over the garden and the water beyond. Radiator. 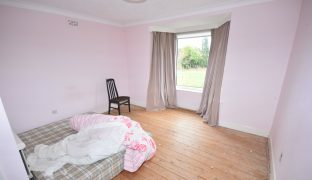 L-shaped room, radiator, window to rear, radiator. 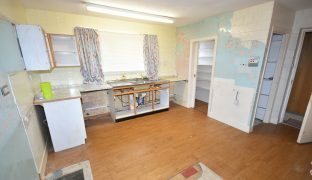 The property is approached via a generous driveway which in turn leads to an integral Double Garage 19’9″ x 17’1″ with large sliding double doors, power and light and a window to the rear. The front garden looks out over open farmland and has gated access to the side. 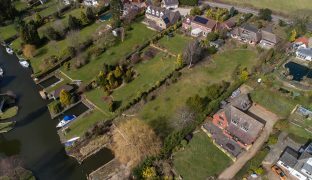 The substantial south facing rear garden extends to approximately 320ft long and is mainly laid to lawn with a variety of mature trees and shrubs. 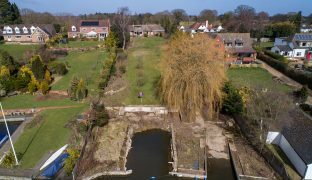 The garden leads down to the water’s edge with a large private mooring section that includes a generous concrete slipway and a mooring dock (formerly the site of a boat house) that measures 40ft x 22ft. Total frontage of the dyke extends to approximately 81ft. 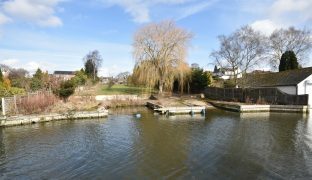 From here it is only a short distance to the River Bure which in turn gives access to the entire Norfolk Broads network.